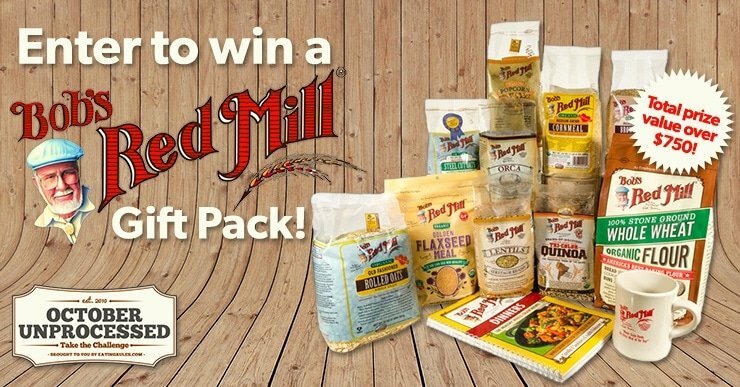 Longtime Eating Rules readers already know that I’m a huge fan of Bob’s Red Mill. Their quality is outstanding, and there’s just something about the simple, honest packaging that draws me in and reminds me of a bygone era. There’s no hype or flashy marketing (or outrageous health claims) — it’s just darn good, real food. 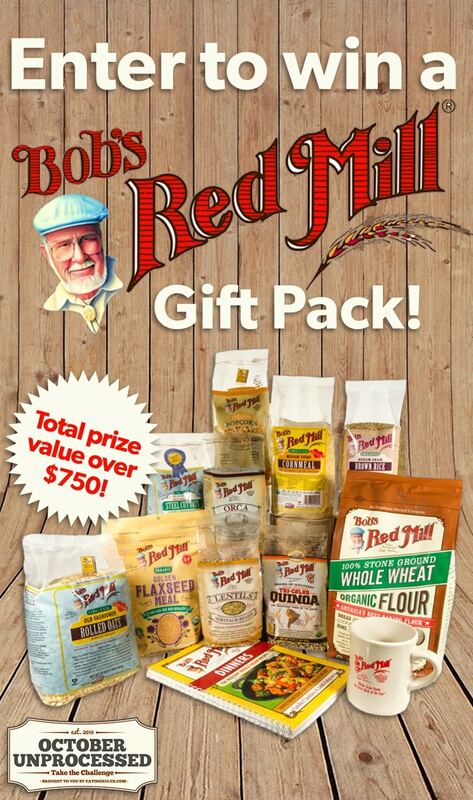 Bob’s product line is extensive, with over 400 different flours, cereals, seeds, baking mixes, and whole grains. They have more than 50 organic products as well as a dedicated gluten-free line made in a separate facility. I even got to see all of this in action when I took a tour of the mill a few years back. The team at Bob’s has supported October Unprocessed since its very first year — and now we’ve put together a giveaway to help TEN LUCKY WINNERS stock their pantries for October and beyond! 3. 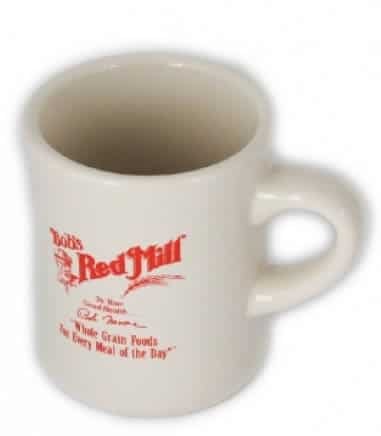 A Bob’s Red Mill Mug! The Giveaway is open to residents of the U.S. and Canada… and ends at 11:59pm Pacific on Thursday, September 28. Good luck! Healthier/Unprocessed breakfasts for family – homemade oatmeal! I am hoping to achieve better energy levels, and better overall health. 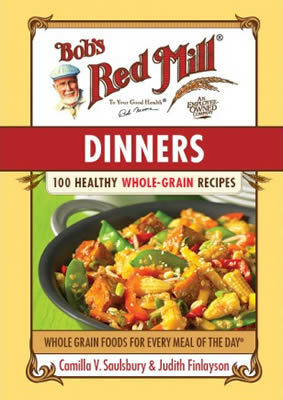 I love homemade breads and there are several recipes I want to try using Bob’s Red Mill whole grains. This is so cool!!! We incorporate whole grains, a great way to start off the day, from oatmeal, cornbread muffins, 4 grain pancakes. All yummy!